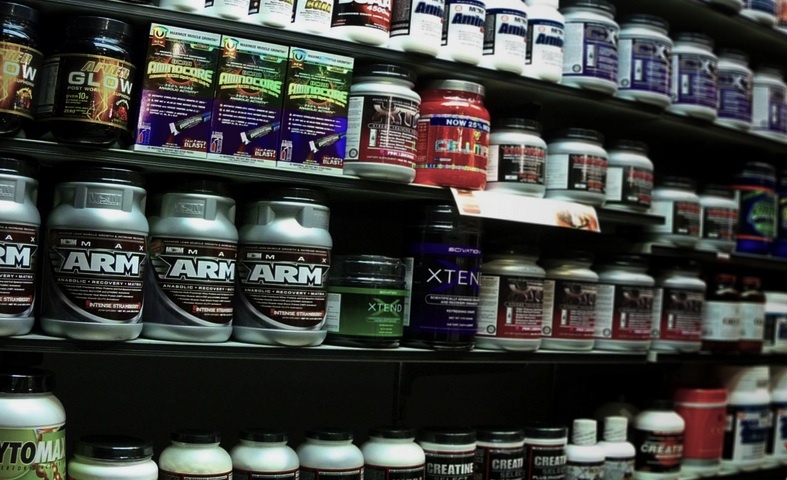 People may think I’m nuts for saying this… but bodybuilding supplements can be hazardous. That is, hazardous to your wallet, your health and your training efforts. Before you laugh at me and hit the back button on your browser, I invite you to continue reading this short article, and maybe, just maybe, you’ll see I’m not so crazy after all. Supplements are, just that: supplements. Yet some people seem to take their usage to the extreme. Sure, I have one or two protein shakes most days, or a Meal Replacement Powder when I’m too busy to prepare food. That is precisely what they are there for, after all. However, I’ve noticed an alarming trend in supplementation, in which many bodybuilders seem to have become ever more reliant upon them. Whether it’s the marketing sucking them in, or simply the convenience, I don’t know. But often, I see them ‘stacking’ so many of these supplements together that, I wonder if there is any space for the rest of their diet. Not only is this extremely costly, but I think it is unhealthy and detrimental to training efforts. First of all, the cornerstone of every bodybuilding diet should consist of real, unprocessed foods. There is no substitute for this. Supplements always contain sugar – and many contain a hell of a lot of sugar. It wouldn’t surprise me at all if many bodybuilders are consuming up to and beyond a quarter of a bag of sugar per day on supplements alone – this is not healthy as it makes insulin levels soar, and over time, insulin resistance forms and the next step is diabetes type 2. If you want to get the most of your bodybuilding, you should plan you diet in such a way that you don’t have any room for supplements. Then… buy a supplement which comes recommended, and is relatively healthy… but, only use said supplement if for whatever reason you need to sacrifice a meal or two. Overusing supplements is dangerous, and I would advise to have no more than two MRP’s (meal replacement powders) a day, spread out as far as you can.